Senator Kerry and Ambassador Patterson meet The Muslim Brotherhood in Egypt. Alternate headline: Let’s all watch the #HeilObama administration f**k with Israel and Jews harder and harder each day. CAIRO – Sen. John Kerry has met in Cairo with members of Egypt’s Muslim Brotherhood, the Islamist group that’s set to dominate the new parliament. In a statement, the Muslim Brotherhood says three of its top officials attended the meeting with the Massachusetts Democrat, who was accompanied by U.S. 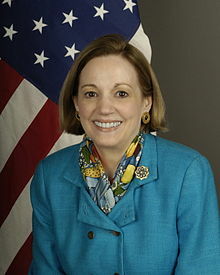 Ambassador Anne Patterson. Brotherhood officials vowed to respect civil rights and international treaties that have been signed in the past. That assurance could be an attempt to calm fears that the group may try to re-examine Egypt’s peace treaty with Israel. 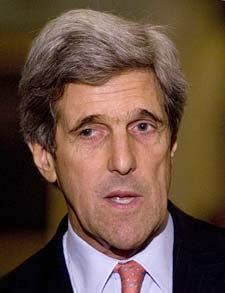 The group says Kerry told the Brotherhood’s members that he’s not surprised by their success in parliamentary elections. The snark I could generate is 100% offset by the rage within. This entry was posted on Sunday, December 11th, 2011 at 07:50 and is filed under Main Postings. You can follow any responses to this entry through the RSS 2.0 feed. You can leave a response, or trackback from your own site. 3 Responses to Senator Kerry and Ambassador Patterson meet The Muslim Brotherhood in Egypt. Kerry was a traitor to the Navy and to all the Vietnam Veterans. He is an Elitist using the false doctrines of Liberal/Marxist/Progressive/Democrat/socialism to buy votes from the ignorant and greedy ‘masses’ to give totalitarian power to himself and his cronies. Why would you expect any difference now?